Clarence River and valley with the Haycock and Seaward Kaikoura Ranges beyond. Murderer's Stream left, Williams and Boundary Stream centre. 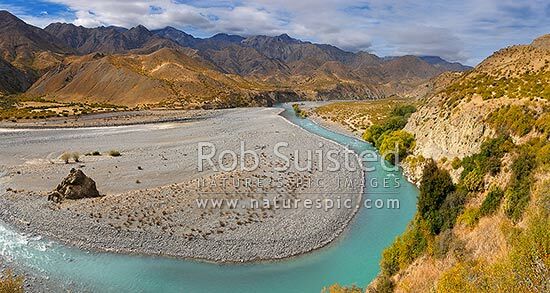 Panorama, Muzzle Station, Marlborough District, Marlborough Region, New Zealand (NZ), stock photo.